For decades, much of Canada's hip hop history has gone undocumented. Now, the North Side Hip Hop Archive is celebrating the stories of the genre's pioneers. Before acts like Drake and Tory Lanez took over the Canadian hip-hop scene, there were Michie Mee, Dream Warriors and War Party. Mark Campbell, an adjunct professor at Ryerson University and founder of the North Side Hip Hop Archive, has been tracking down and archiving Canadian hip hop through the years. "Much of Canadian hip-hop history gets lost, and is lost, because we don't have an institution that's dedicated to preserving and celebrating and sharing the history of hip hop in Canada," he said in an interview with Day 6. Through archiving the lost history of Canadian hip hop, Campbell's hope is to educate people about some of the pioneers of the genre who gave the style of music its northern flair. Campbell says he is working on hip-hop lesson plans that could someday be used in Toronto and Saskatoon high schools. He told us about some of Canada's hip-hop pioneers, and how they shaped the music scene in the country. If you watched MuchMusic in the '80s and '90s, you might recognize Michael Williams as one of the first VJs to work at the cable TV station. But even before his TV gig, he was introducing hip hop to listeners on the radio. In the early '80s, Williams hosted the radio show Club 980 in Montreal. Together with DJ Butcher T, the pair would play tunes from artists like Blondie B, Born Allah, and Wavy Wanda and Baby Blue. "These were all some of the early rappers that were coming out of Montreal," Campbell said. "Michael Williams was one of those people to create a platform for them quite early, in addition to creating a platform for someone like Butcher T to develop himself as a DJ." Campbell said Williams was instrumental in creating shows like Soul in the City and Rap City, which allowed Canadians to hear new artists. "These were vital platforms for the development of hip hop culture in Canada and allowed people all across the country to stay attuned to the development of hip hop culture." Over the decades, Ivan Berry has worked hard managing and promoting local artists — including the likes of Kardinal Offishall, Choclair and the Rascalz — so the rest of the world knew who they were. In 1982, Berry co-founded Beat Factory Records, a music management and production company, with songwriter Rupert Gayle. The company later expanded into an independent record label in 1996. Among Berry's achievements is guiding the careers of hip hop pioneers like Michie Mee and the Dream Warriors to international stardom. But Campbell said the latter group became Beat Factory's biggest success, selling out shows and touring worldwide. "As a manager for Dream Warriors, [Berry] really sort of exploded the hip hop scene in Canada by touring the Dream Warriors across Europe." They sold out their European tour "in places like Copenhagen, in Switzerland, and in places you wouldn't imagine in 1995, a Canadian hip-hop group from Jane and Finch would be headlining and selling out shows." In the 1990s, War Party, a Cree hip-hop group hailing from Hobbema, Alta., — now known as Maskwacis — broke into the Canadian hip-hop scene. According to Campbell, they were the first Indigenous hip-hop group to receive national rotation on MuchMusic. Founded in 1995, War Party has won multiple awards, including the Canadian Aboriginal Music Award for Best Rap Album. The group addressed themes like systemic oppression, cultural genocide, residential schools and substance abuse. "They really opened the gates to Indigenous hip hop developing in Canada and they were really sort of ahead of their time in terms of keeping hip hop connected to the reservation and connecting the reservation to the hood." Campbell said War Party remains a hip-hop trailblazer in the country because the group gave Canadians a glimpse into the lives of Indigenous communities. "They really were able to widen how we were able to think of hip hop as something that was a social critique or a social political critique of life on the reservation." Michie Mee is considered a national hip-hop pioneer and "probably Canada's first international hip-hop superstar," Campbell said. Born in Jamaica, the MC moved to Toronto at a young age and began performing in her teenage years. She later teamed up with DJ L.A. Luv to form the duo Michie Mee and L.A. Luv. 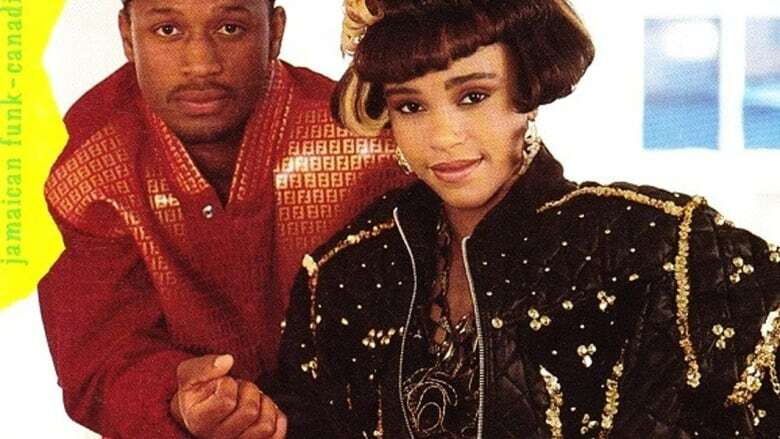 Elements of Style, the pair's first single, became incredibly popular in both Canada and the U.S., leading the group to get signed with First Priority and Atlantic Records in 1988. As a result of that, Michee Mee became the first Canadian rapper to sign a record deal with an American label. "She was the perfect encasement of Caribbean youth hybridity," Campbell said. "She would destroy rappers that would come to Canada — U.S. rappers that would come to a concert hall — and really, really help us feel proud about who we were as Canadians. She was definitely representing the TDot before the term the TDot was invented by K4CE (K-Force)." To hear more from Mark Campbell, download our podcast or click the Listen button at the top of this page.